Waht a luxury place to vacation. 4 bedroom 3 bath house waterfront with all bells and whisles. 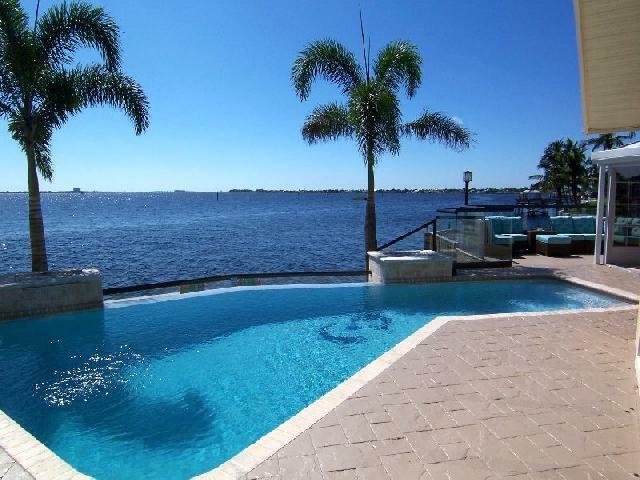 what an amazing villa with great views over the Caloosahatchee river. Luxurious interion, big screen TV's, games room, and much more. with a total of 4 bedrooms this villa will easily sleep 8 You can be assured, this home does not only have amazing views but also feature state of the art interior and modern furnishings with big screen TV's and Game room, Billiard table and Game Consoles and much more. 4 bedrooms and 3 bathrooms, which include a king bed in the master bedroom, 2 guest bedrooms with queen size beds and one guest bedroom with 2 twin beds. TV's are in all rooms including the game room which features 3D viewing and a Playstation 3. For our Boaters there is a boat dock and lift ready for use. 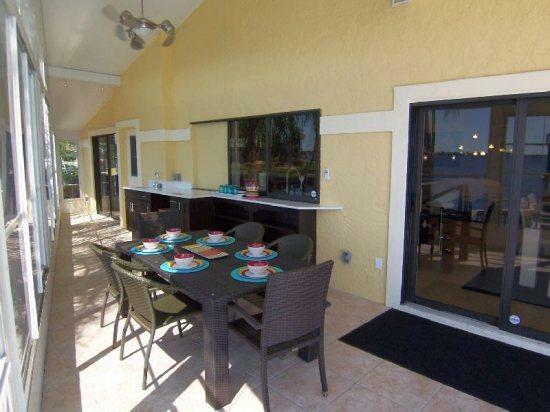 The home is located on a corner lot which gives you water view from 2 sides. Important This is a 4 bedroom home. 4 guests are included in the posted rates. Each additional guest in this home will be charged an additional $140/week plus tax. Guests under 12 are free of charge. If you bring a pet, small dogs ( 15lb )only. For online reservations: Please email us about more than 4 person.